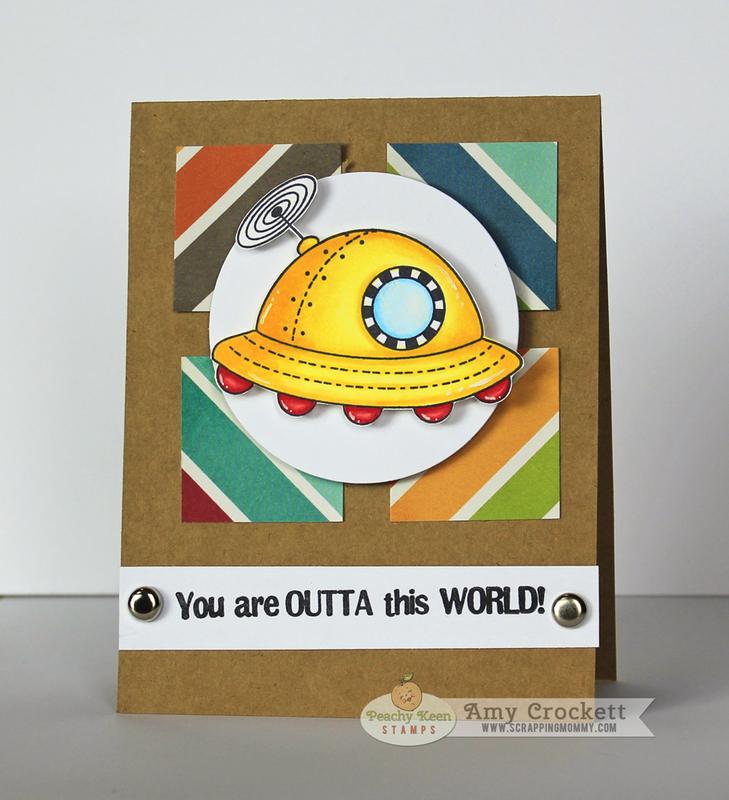 Scrapping Mommy: Peachy Keen Stamps are Outta This World! Peachy Keen Stamps are Outta This World! Today there is a new challenge up over at Peachy Keen Stamps and it is my favorite kind.....a sketch challenge. YAY!! 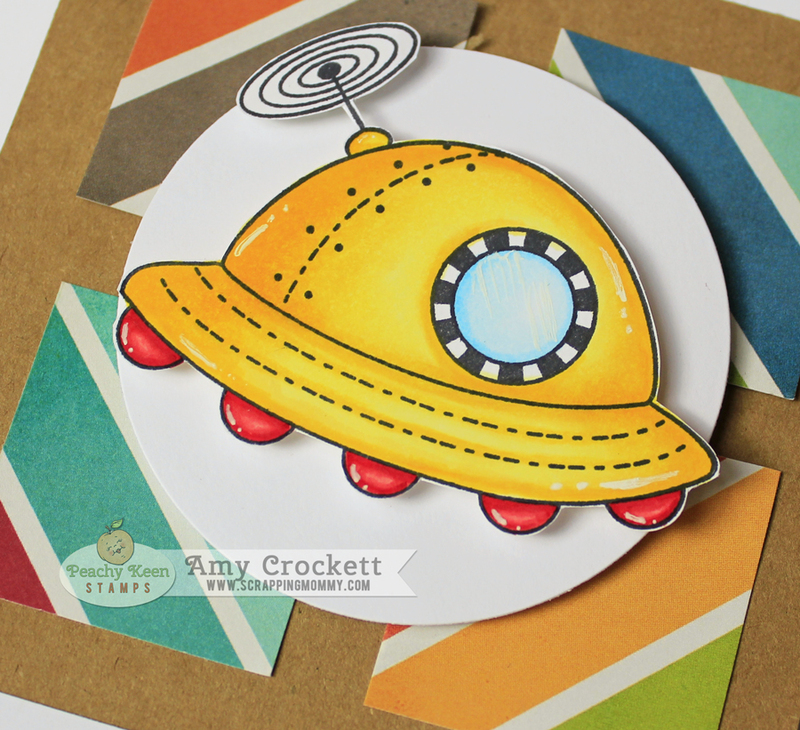 The sketch is great and I went a little simple with it and used the Happy Trails Spaceship stamp set on my card. I cut out the image and added it and the white circle to the card with foam adhesive for a little added dimension. I hope you can hop on over to the Peachy Keen Community to join us in the wonderful challenge. I would love to see what you create.